The best of West Coast publishing was celebrated on May 3 in Vancouver at the annual B.C. Book Prizes. The Roderick Haig-Brown Regional Prize, which recognizes the author of a book that “contributes most to the enjoyment and understanding of British Columbia,” was awarded to David Stouck for Arthur Erickson: An Architect’s Life (Douglas & McIntyre). 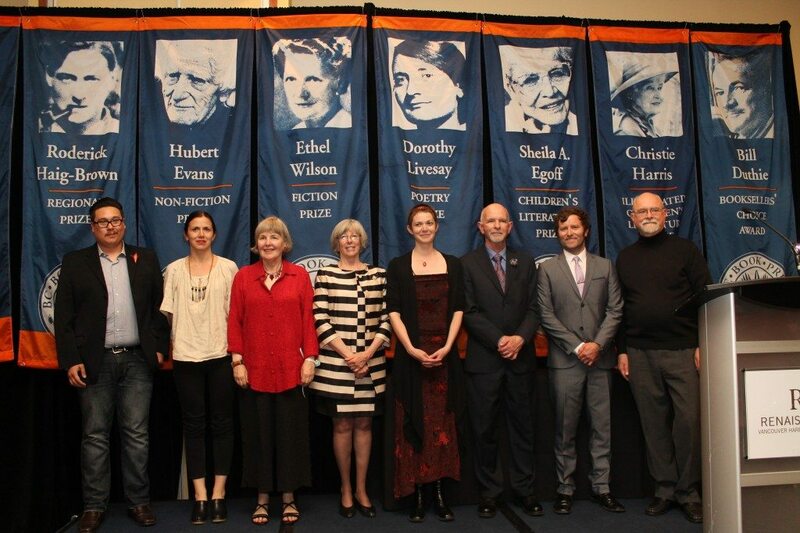 Stouck also received the Hubert Evans Non-fiction Prize. Earlier this year, Stouck’s biography of B.C. architect Arthur Erickson was nominated for the RBC Taylor Prize, the Basil Stuart-Stubbs Prize, and the Melva J. Dwyer Award. Ashley Little was awarded the Ethel Wilson Fiction Prize for her novel Anatomy of a Girl Gang (Arsenal Pulp Press). The Dorothy Livesay Poetry Prize was presented to Jordan Abel for his collection The Place of Scraps (Talonbooks). In the kids’ categories, Julie Morstad’s picture book How To (Simply Read Books) received the Christie Harris Illustrated Children’s Literature Prize. The Sheila A. Egoff Children’s Literature Prize was given to Ashley Little for her debut YA novel The New Normal (Orca Book Publishers). Each winner received $2,000, with the exception of Pearson, who was awarded $5,000.